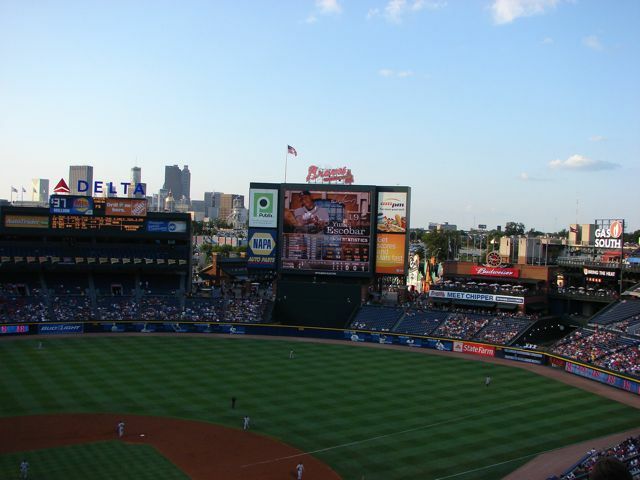 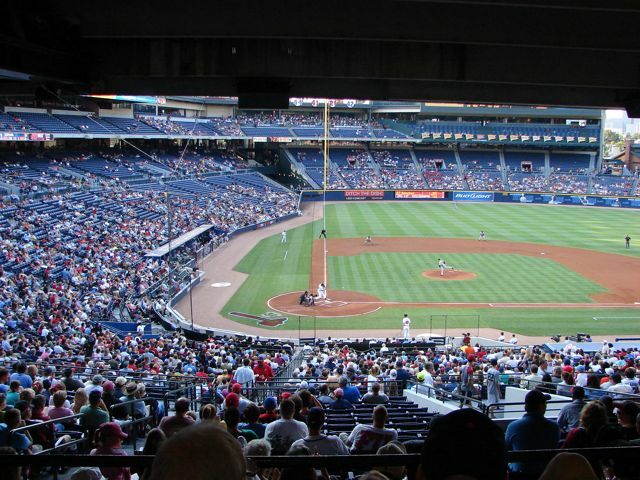 The Atlanta Braves play at Turner Field. 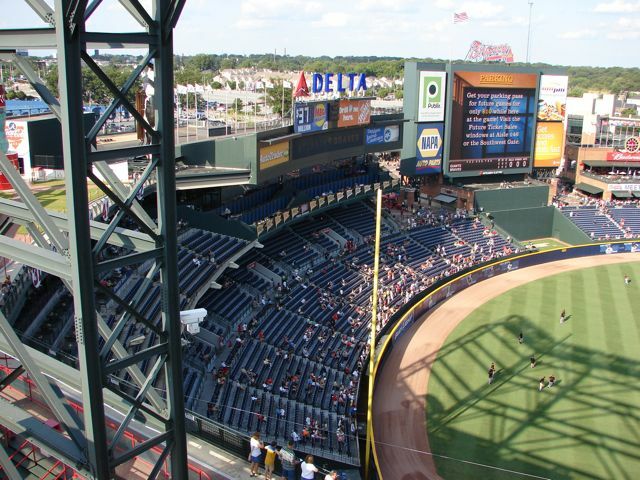 The stadium was built for the 1996 Olympics as the track and field facility. 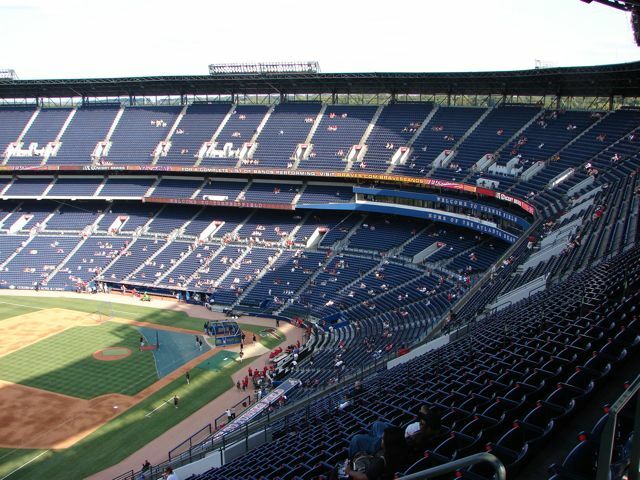 It seats 50,096. 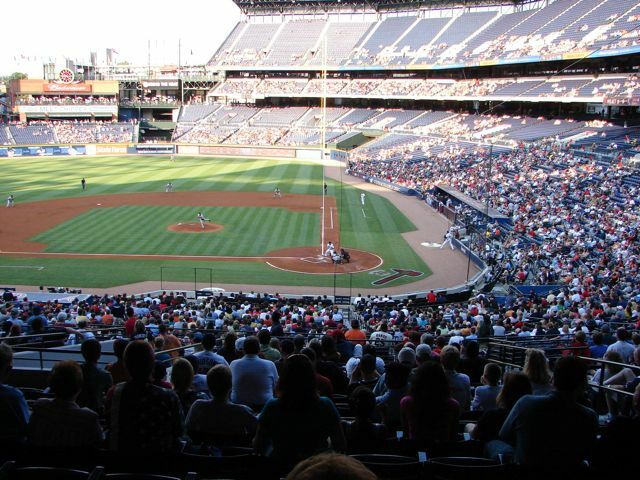 After the Olympics it was converted into an enjoyable baseball stadium. 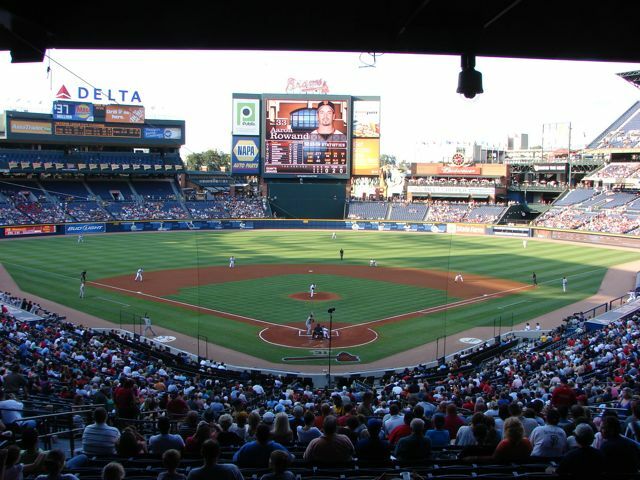 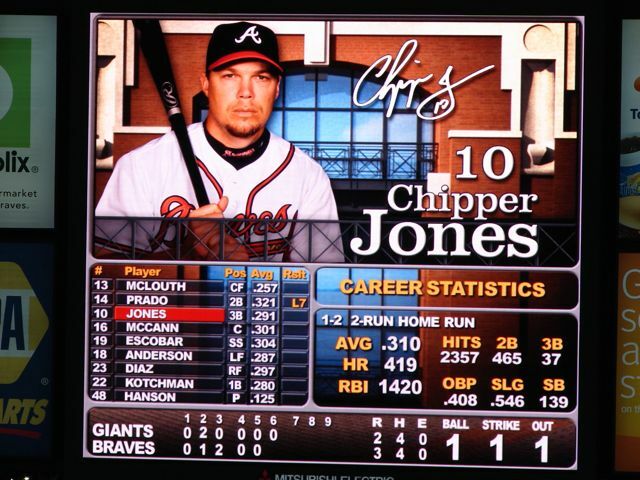 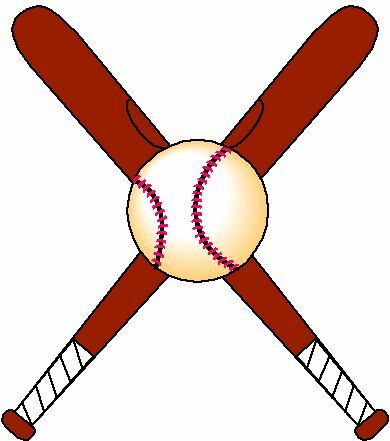 The Braves were playing the San Francisco Giants and beat them 11-3. 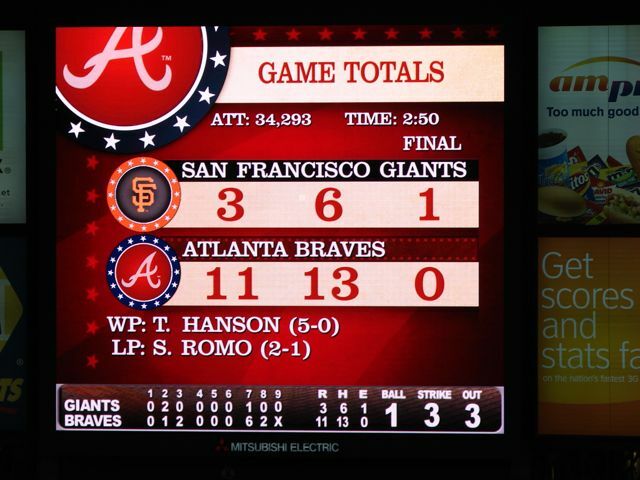 The box score was Giants R-3, H-6, E-1 and Braves R-11, H-13, E-0. 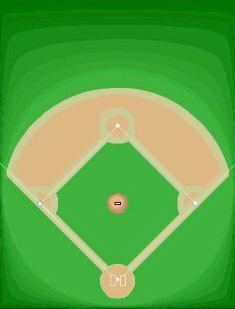 The field lines are RF-330', RC-390', CF-400', LC 380' and LF-335'. 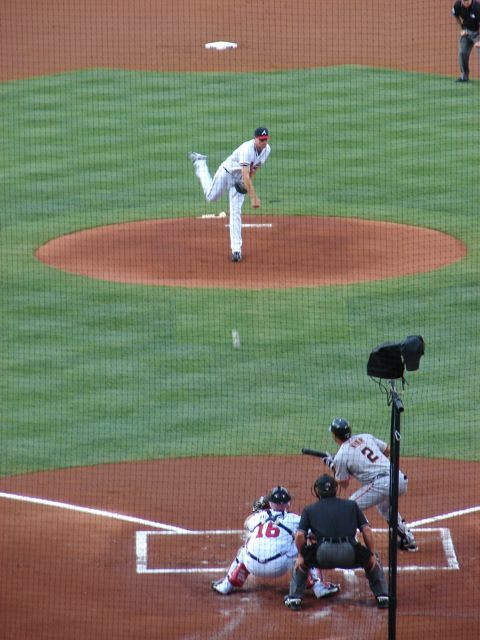 Juan Uribe hit a can of corn to centerfield. 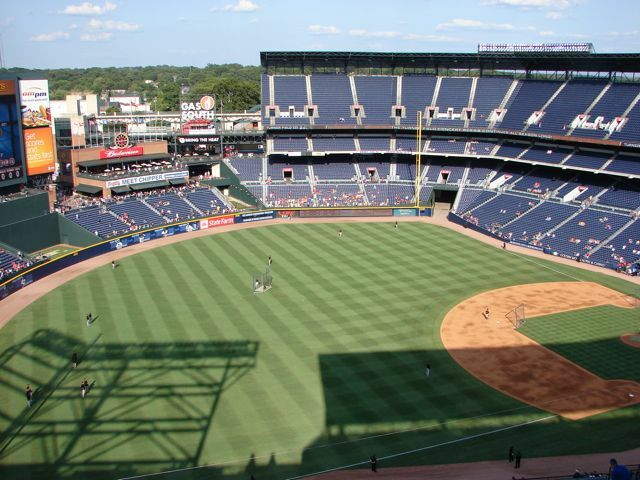 The centerfielder lost it and the ball landed 20' behind him and Uribe ended up on 3rd. 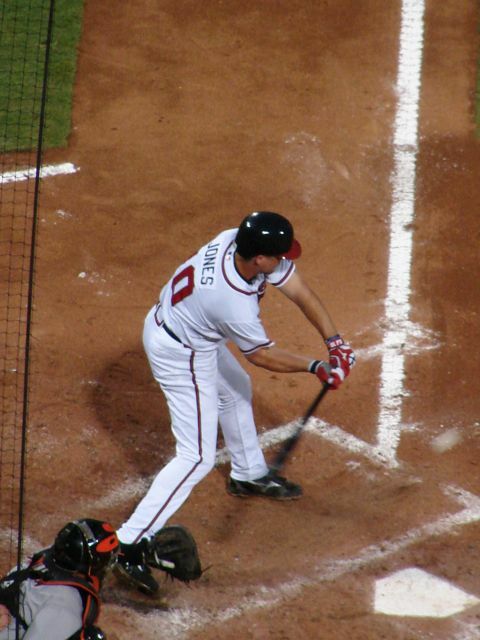 He scored on a long fly out to centerfield by the next batter. 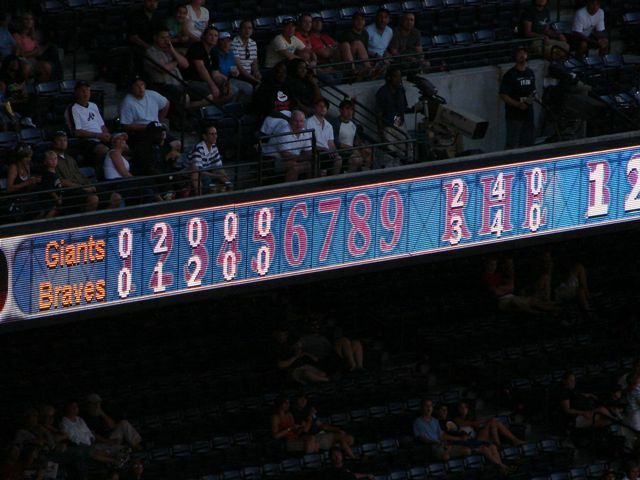 Outstanding scoreboard information on newly updated video scoreboards. 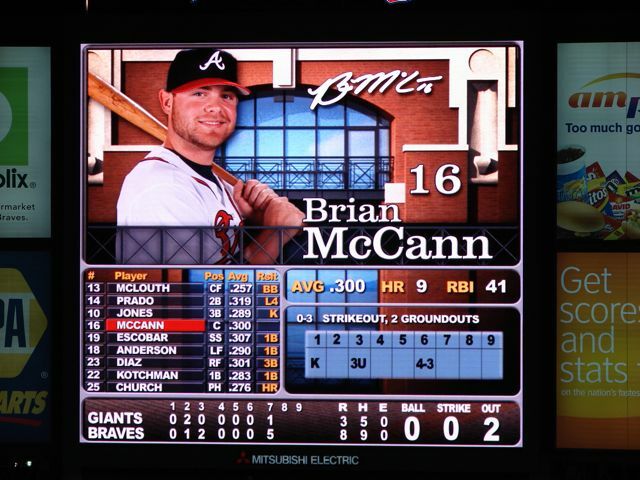 In the third example with McCann you can see what the previous batters had done. 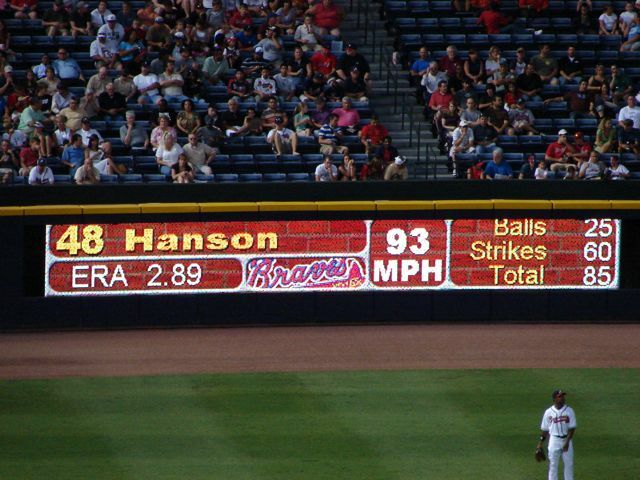 In this inning Atlanta batted around the order. 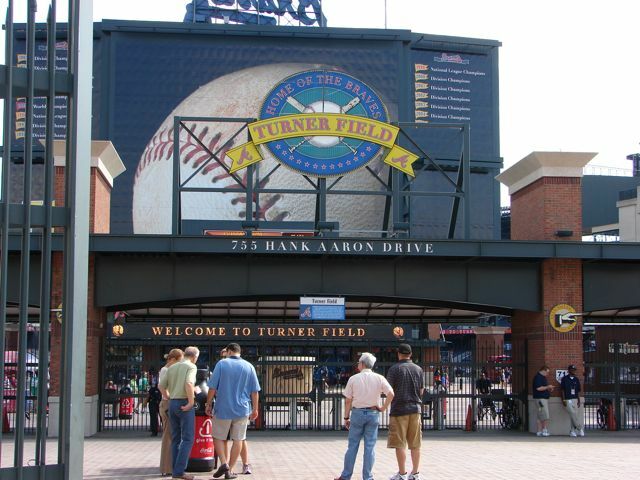 Outside Turner Field you can see where the previous stadium Fulton County Stadium was located. 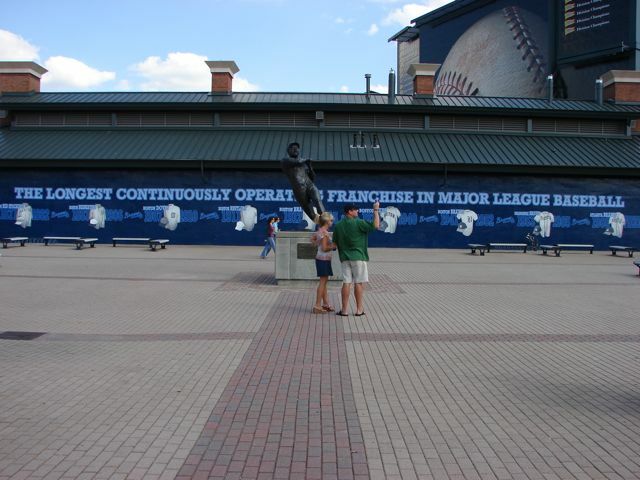 This is where Hank Aaron hit #715. 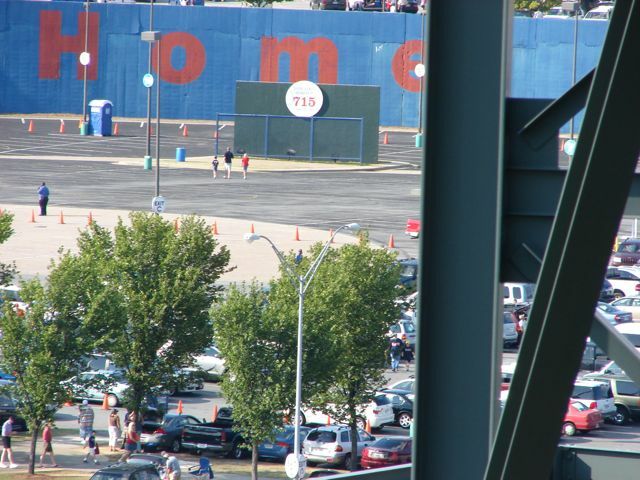 The old stadium area has been turned into a parking lot. 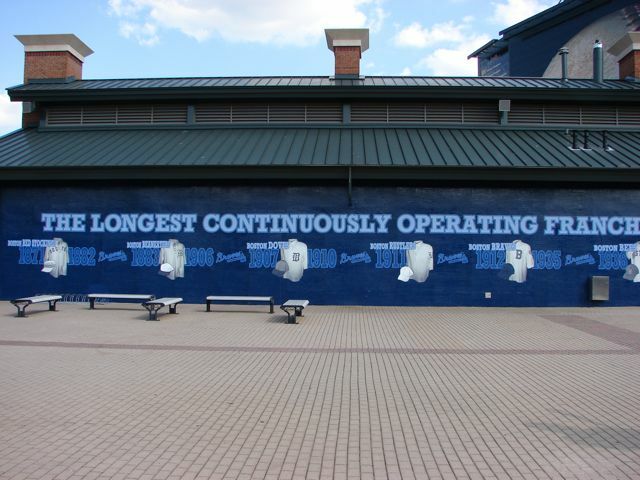 They have set the base paths in bricks and the portion of the wall where Aaron's home run was hit is still there. 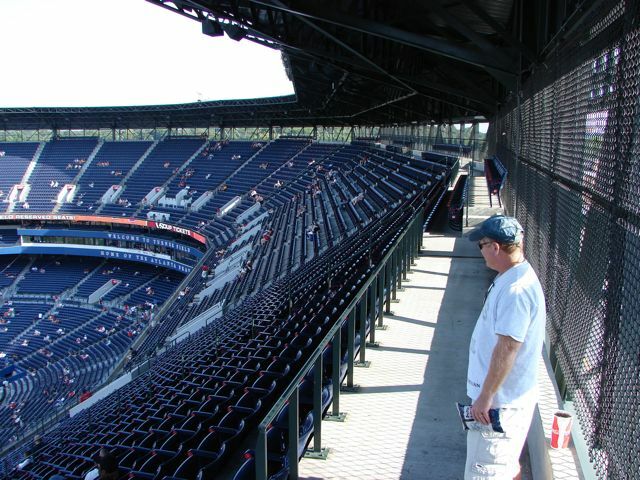 From one area of the 300 level in Turner Field you can see the wall. 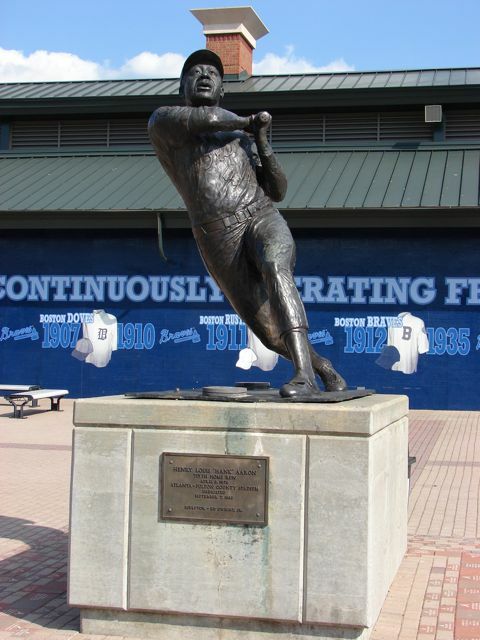 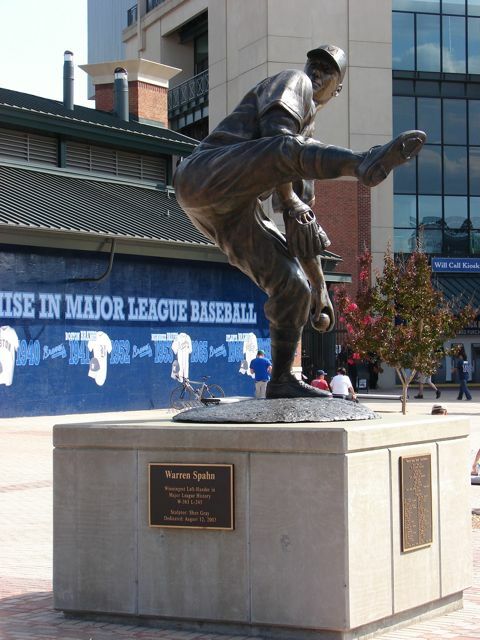 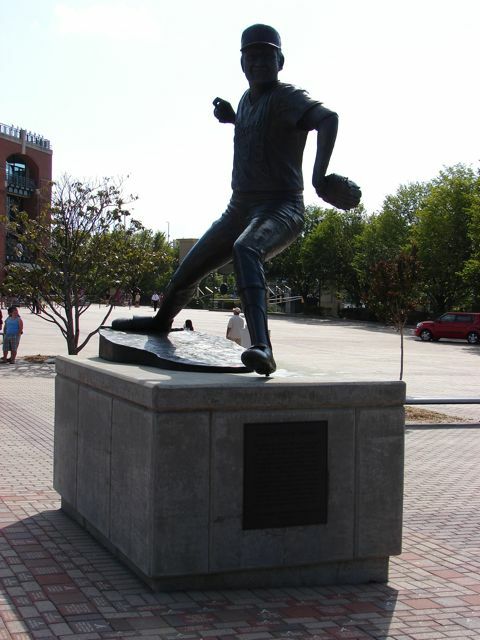 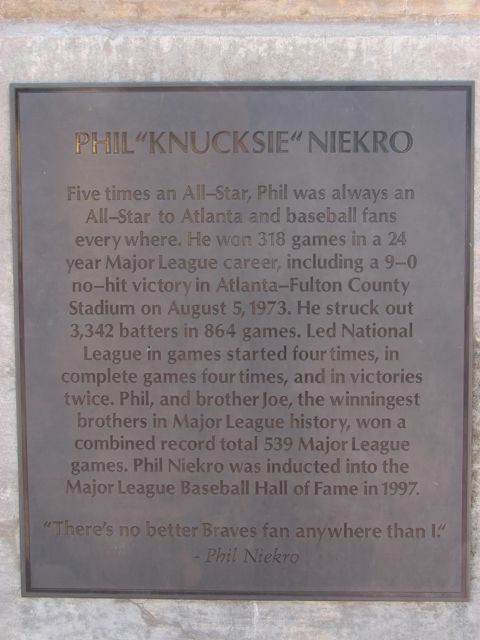 In the area outside the stadium are statues of Hank Aaron, Ty Cobb, Phil Niekro, and Casey at the Bat. 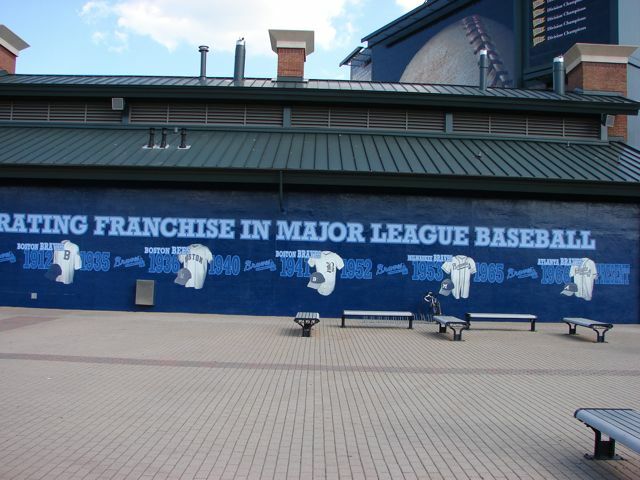 Outside on one of the walls is the history of the franchise. 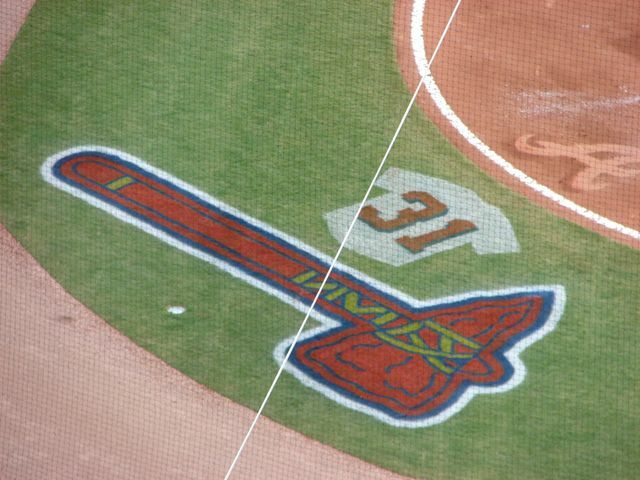 Greg Maddux's jersey #31 was retired in a ceremony several days before we arrived. 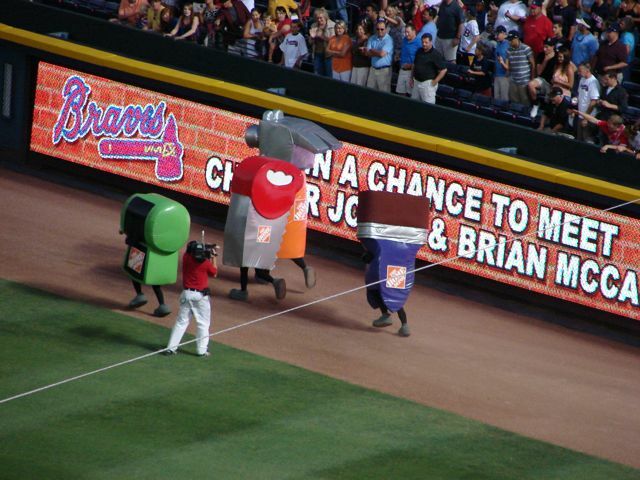 The between inning race was sponsored by Home Depot, so Saw, Drill, Hammer, and Paint Brush were the competitors. 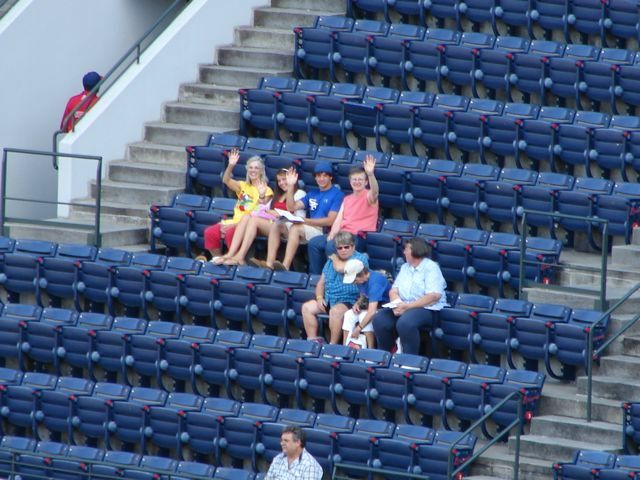 Kiss Cam here as well. 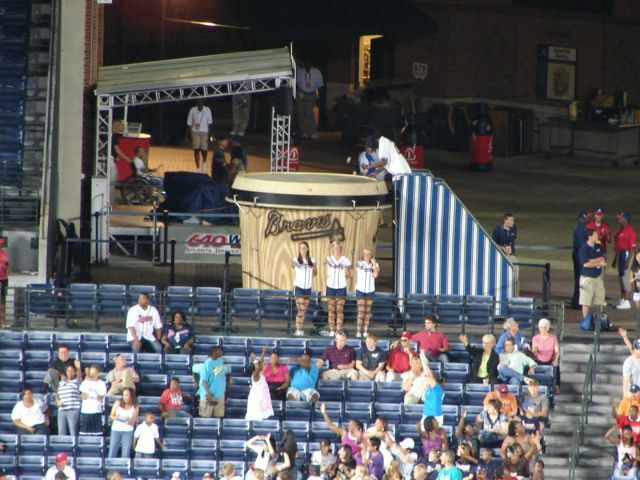 The Braves drummer has a giant new drum to beat on. 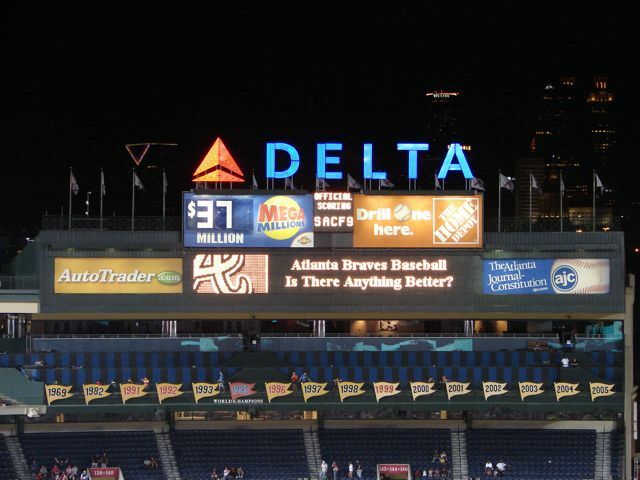 Information about the Braves Division and Championships are shown on the flags in left field. 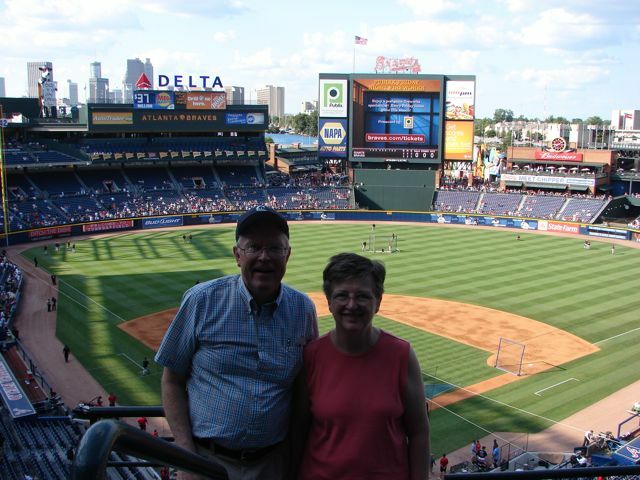 We attended the game with Andrea's cousin and her two grandchildren. 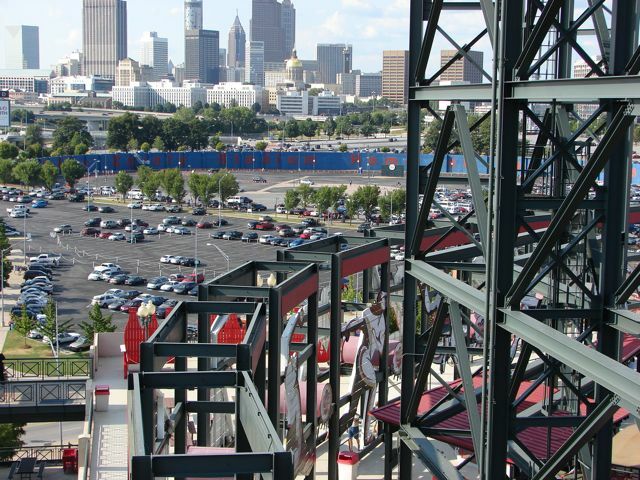 2017- Braves move to Sun Trust Park 10 miles NW of downtown Atlanta in Cumberland/Galaria, GA.